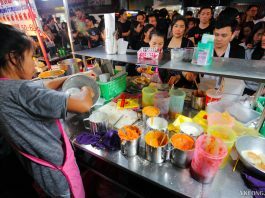 Visitors to Petaling Street, locals and tourists alike will be tempted to cool off with a cup of the famous ‘air mata kucing’. 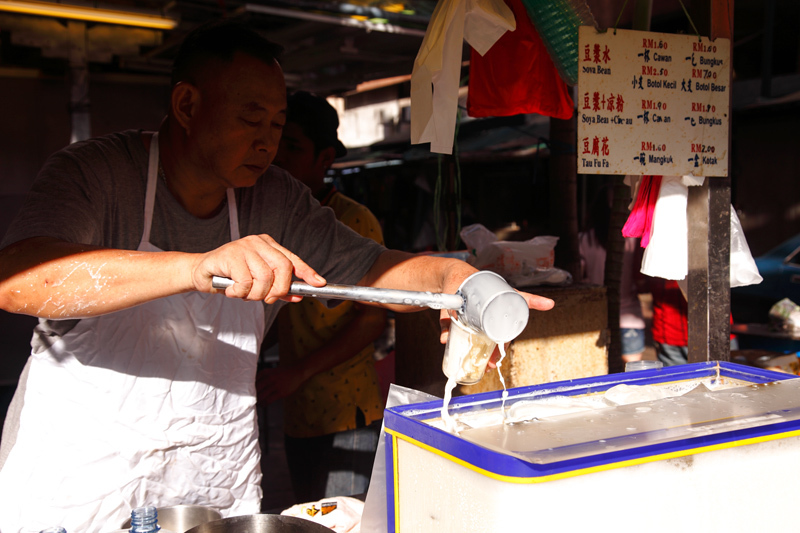 Kim Soya Bean is another equally popular drinks stall in the area selling soya bean milk and Tau Fu Fah. 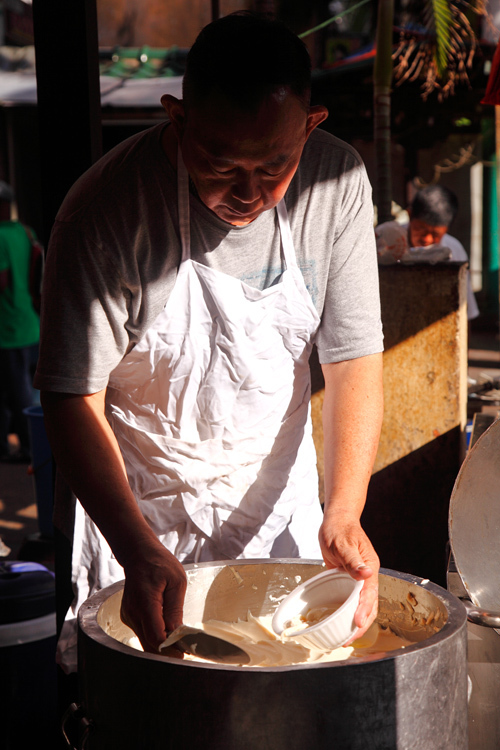 Started as a family business about half a century ago, the stall is now run by the second generation. A cup of soya bean milk @ RM1.60. Bottled ones to take away for consumption at home are RM2.50 (small) and RM7 (big) respectively. 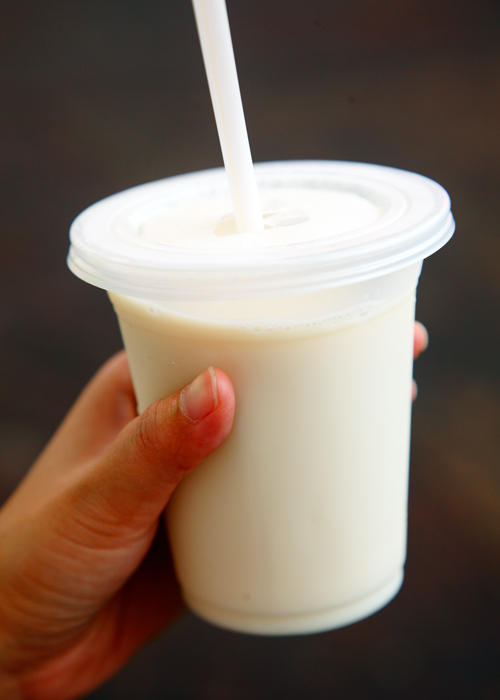 Taste wise, it’s pretty similar to any other (the good ones though) homemade soya bean milk you can find in the city. 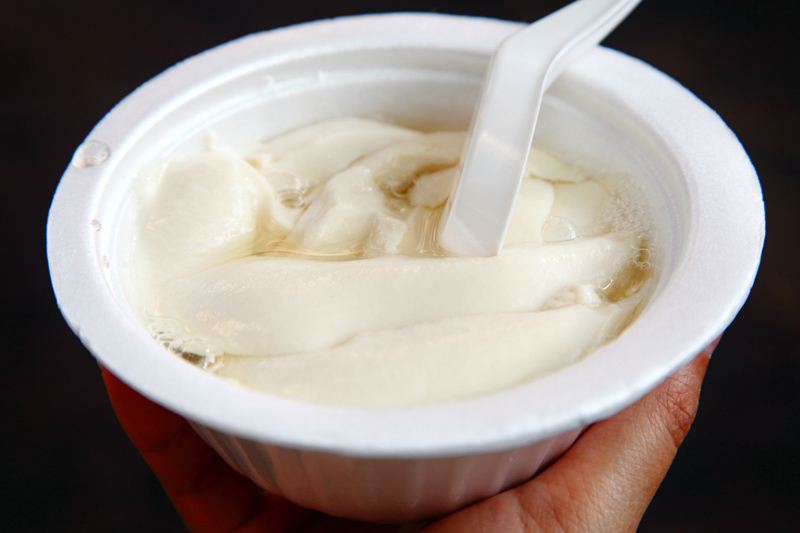 The Tau Fu Fah here is different from the rest, in the way that the pudding feels chunkier, firm to the bite and not as soft. This is like the opposite version of Funny Mountain‘s which simply melts in your mouth. Nevertheless, it’s still silky smooth and the sugar syrup is infused with a subtle, pleasant ginger flavor. 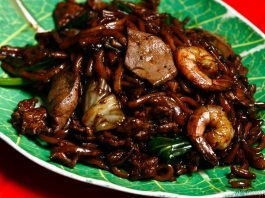 RM1.60 for a bowl. 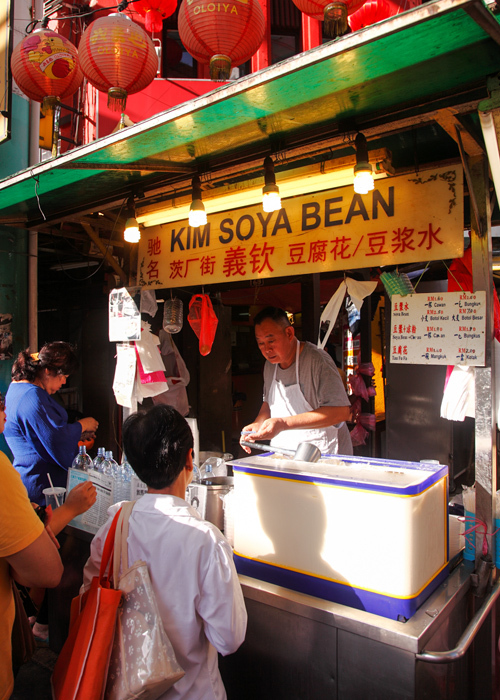 On a usual day, it’s not uncommon to see a large crowd of customers at Kim Soya Bean. In fact, when we were there, they were seen to be doing better business than the ‘air mata kucing’ stall. Even so, we were served quickly and efficiently. It’s impressive how the uncle manages to remember the onslaught of orders coming from all directions.